We're having a quiet Christmas this year. S had hip surgery #2 on Monday, and so far things are going splendidly, but we're keeping the activity level to a minimum. I'll take the pup to the dog park while S blows up Nazi zombies from the comfort of a recliner (and underneath a pile of cats). 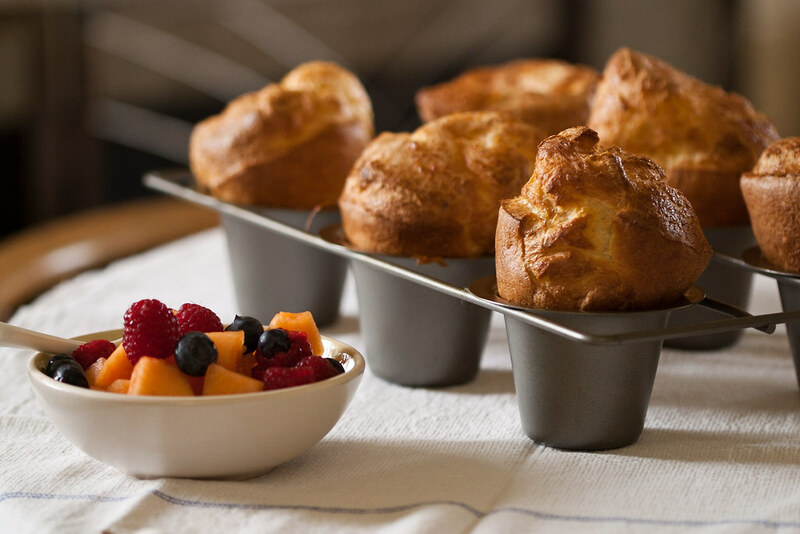 Today's menu is traditional for our family: popovers, fruit, and homemade jam for breakfast (above), homemade soup and bread for lunch, and roast beef with Yorkshire pudding for dinner. For those of you who celebrate Christmas, do you have traditional family recipes or menus? Whatever your plans are today, I wish you a day full of peace, joy, and love. I'll have another recipe up shortly, but in the meantime, safe travels and good eats! I'll take the dog, please! :-D Great pics. 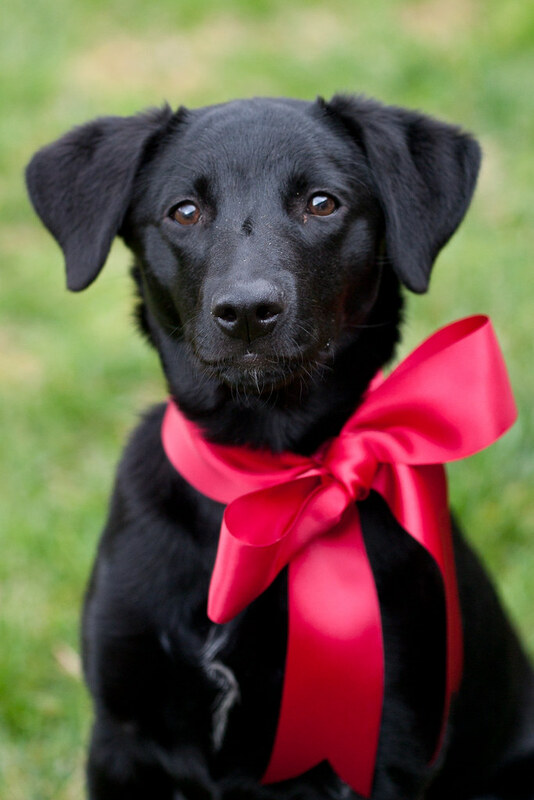 Love the bow on the dog!